Bill Ford, Executive Chairman of Ford Motor Company (NYSE:F) and great grandson of Henry Ford showed little signs of concern, despite Morgan Stanley (NYSE:MS)’s downgrade of the 111-year old company. Morgan Stanley (NYSE:MS) cited the company’s new launch of the F-150 truck as a potential for a blind side. The new model’s potentiality of a rough transition for the company was the rating agency’s main cause of concern. Nevertheless, Bill Ford, during an interview on CNBC, expressed his total optimism for the future of Ford Motor Company. “There lies an opportunity, how I see it, because we have a lot of new launches coming, a lot of great products. We think they will do very well in the market place […],” said Bill Ford. The trucks constitute about 30% of Ford Motor Company (NYSE:F)’s top line and sales in this sector have slightly decreased for August, despite an increase in the overall sales. The launch of its new F-150 is the main reason for this as people await the arrival of the much anticipated aluminum-bodied trucks and have consequently held back sales for the motor company. 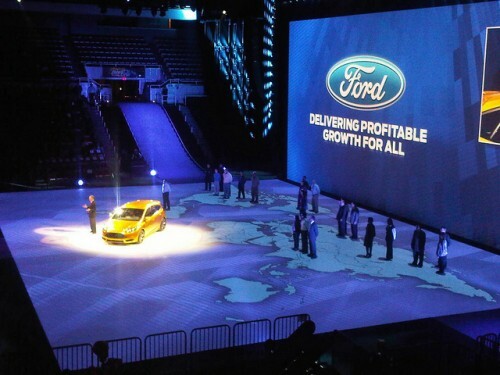 Ford Motor Company (NYSE:F) faces a slight uncertainty in the future which is dependent on two factors. First and foremost is how well the market receives the new brand of trucks, and secondly whether the car industry of US has already peaked or not? With record sales in the auto industry this year this could be a very real possibility. However, Bill Ford doesn’t only think that the market is yet to peak, but also states that Ford Motor Company (NYSE:F) has been posting pretty impressive volumes recently and there is further room for increase in earnings by for example improving margins or even by increasing the company’s market share. With Ford Motor Company (NYSE:F) focused on launching new products, an expansion in the market share should ideally be in the cards.